Welcome to the III International Conference on Fresh-cut Products: Maintaining Quality & Safety website. The conference will be held at the UC Davis Conference Center September 13-16, 2015, with an optional post-conference technical tour September 17-18. 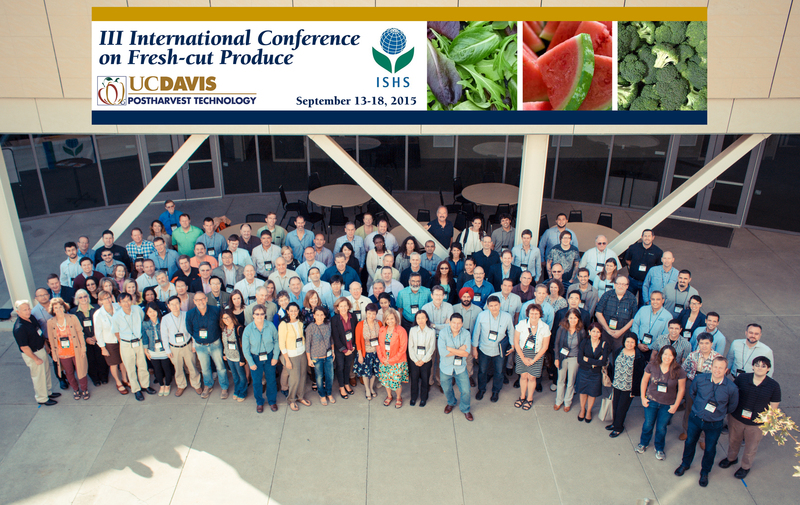 This fresh-cut conference in 2015 will take the place of the annual fresh-cut workshop that the Postharvest Technology Center at UC Davis has been successfully organizing since 1995. This conference is an important international gathering of colleagues to focus on key issues and emerging technologies relevant to the dynamic and growing fresh-cut produce industry. The main topics will include: Quality & Product Development, Temperature & Handling Logistics, Preparation & Processing, Packaging & Modified Atmospheres, Food Safety & Sanitation, and Marketing & Consumer Acceptance. This International Fresh-cut Conference is organized under the aegis of the International Society of Horticultural Science (ISHS), which has a network that reaches more than 7,500 society members as well as many additional professionals worldwide. The proceedings from the conference will be published in Acta Horticulturae, an important resource for scientific and technical literature that is available in both print and digital media. The generous financial support of our Sponsors has helped to keep our registration costs as low as possible. We appreciate their gifts that defray the costs of organizing this exciting conference. The University of California, Davis campus is a wonderful location, with a conveniently located campus that allows easy access to many of California's most famous tourist destinations. We hope you will register today to attend the 2015 International Fresh-cut Conference! Don't miss an opportunity to contribute to this scientific endeavor and enjoy yourself!